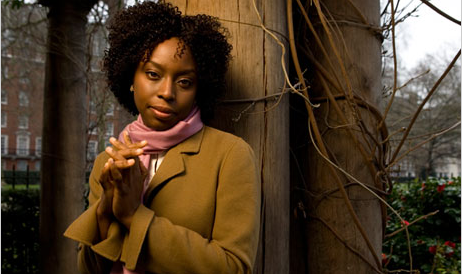 The main character of the brilliant and wonderful Chimamanda Ngozi Adichie’s Americanah is a blogger and Nigerian immigrant to America rocketed to Internet fame by writing, “Various Observations About American Blacks (Those Formerly Known As Negroes) by a Non-American Black.” She had me at her first words, about “Princeton, in the summer, smelled of nothing” and how “she had always found it a little irresponsible, the eating of ice cream cones by grown-up American men in public.” An otherizing eye on the familiar is always delightful, and Adichie’s voice is fluid, chatty and funny. This is the second book I’ve read of hers in a couple of months. 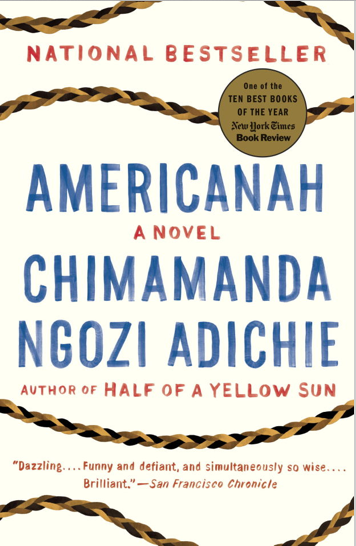 Like her breakout success Half of A Yellow Sun, which was about the short-lived state of Biafra, a chunk of Nigeria that tried to secede in the late 1960s with devastating results, Americanah has a wide scope. The main thrust of the narrative is a love story and social comedy about Ifemelu and Obinze, high school sweethearts and children of the Nigerian middle class who are swept along in a tide of foreign-immigration. The couple is torn apart by their experiences abroad, and, at the beginning of the story (which is told mostly in flashbacks), are just about to get back in touch with each other. 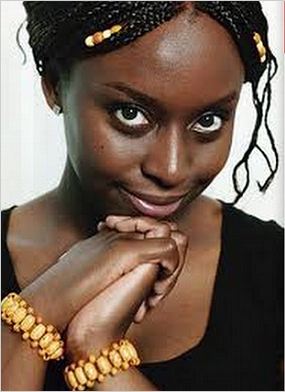 One of the many neat tricks Adichie employs is the seamless swapping of locations between the U.S. and Nigeria, which make it impossible to say really which country the book is about—they are intertwined. It’s a love story but it’s also, mostly, a book about race, which takes place primarily in flashbacks at an African braiding salon (and talks in powerfully exhaustive detail about black hair). The premise is that, as Ifemelu explains, you aren’t “black” in Africa, because everyone is black and so race is not an issue. And then you move to America and suddenly you are black, and in a wonderful position to see clearly what it all means. Ifemelu’s fictional blog posts are excerpted throughout the text in depth, and one particularly good one is called “To My Fellow Non-American Blacks: In America, You are Black, Baby.” She dates a preppy white man, then a bourgie black man (an activist-professor in cultural studies at Yale, of course), all the while longing for Obinze and the comfort-in-your-own-skin that he represents. I’ve read some criticism of Adiche recently that she romanticizes the African experience, and is too UMC, and that her people are symbols rather than people, which is all somewhat true. She’s kind of like an African Tolstoy that way. And whatever else you may think about Tolstoy, he wrote excellent novels. I can understand the criticism that she’s letting us be tourists through the lives of others, but during that tour she makes many perceptive observations about race in America, starting with the fact that Americans won’t talk about it. (Her anecdote is, If you’re in a store, and there are two clerks, and one is black and one is white, and the cashier asks ‘Who helped you?’ In America, you cannot identify the girl by race, despite that being the most obvious indicator.) 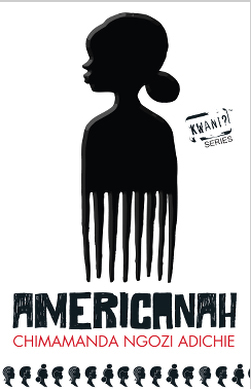 She writes about how African blacks look down on American blacks, and in what specific ways. And then rejoins with the ways American blacks feel African blacks don’t get it. She says that Obama’s race speech was “morally unacceptable.” She tells us the various ways that white people look at a white man’s black girlfriend. Liberal white people come across like confused but friendly dogs who are probably going to bite you by accident. She is able to take this seriously and also laugh at it. And then there is American-ness, that grouping of qualities that we all wear and can’t even see unless we’ve spent substantial time abroad. I am familiar with the ways Russians find Americans perplexing—our loud voices, our positivity, our boundless childlike enthusiasm, our enormous toothy smiles—but since these ways are such an intense contrast to Russian-ness, I didn’t realize until reading this book that it was something universally perceived. 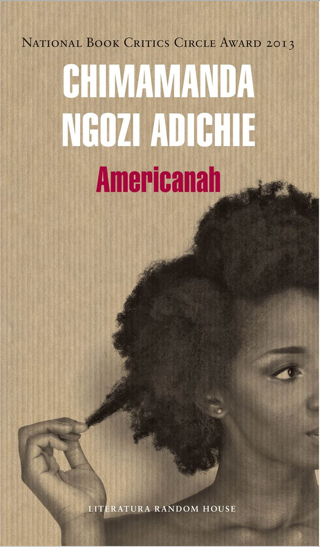 I loved seeing Americans, black and white, through Adichie’s Nigerian protagonist’s eyes. While reading I kept reading funny passages about Americans out loud to my Russian husband, and elicited the anecdote that when he tells his Russian father that “Things are great!” his father sighs and says, “Vanya, it makes me shudder to hear you say this.” (Admitting that “things are great” is something between bad luck and sheer insanity to a Russian…). This is an author whose books I’ll read more of.